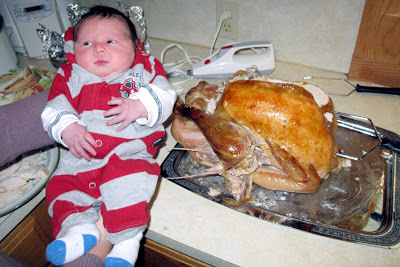 My mother-in-law’s turkey was 2.75 times my newborn son’s weight last year. Ben was born the week of Thanksgiving, so his birthday and the holiday now go together in my mind. And, yes, he’ll probably be subjected to pictures with the turkey for many years to come. Peggy pointed out this year that our turkey may grow though as our family continues to grow. Ben and the turkey were the same size this year. About 22 pounds. 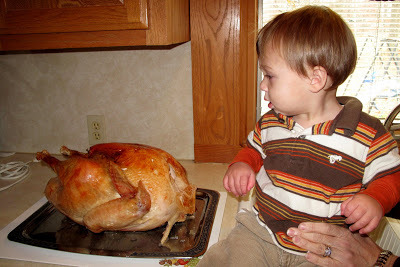 And, even better for Ben, he loved eating the turkey this year. His other favorite food on Thanksgiving was black-eyed peas. 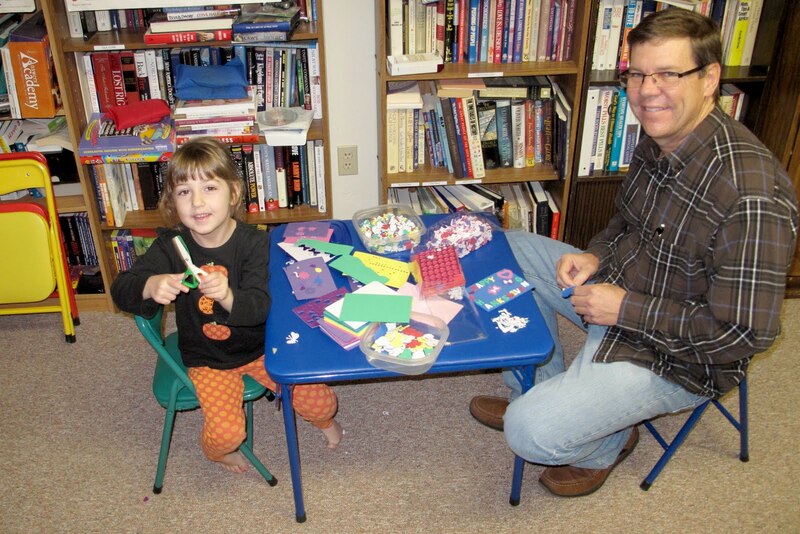 Her great-uncle David was happy to join her. Later she recruited some of her first cousins once removed. Beautiful baby and gorgeous turkeys!